Howdy folks! Spring is in the air! It seems that upon returning from my sabbatical last month, I jumped into the deep end of the pool right away. The Left Coast Roasters and I have been playing a ton, doing different kinds of shows in new and old venues and playing a bunch of new material. Bringing guitarist Dan Eccles into the band has really added a new dimension to our music and we've been rocking like never before. We'll continue this trend with some more special events coming right up. Please take special note of the benefit show for our friend Pete Krebs that we're taking part in this Thursday. Some other events of note: our show at the Owl N' Thiste in Seattle this weekend, a couple of appearances of the James Low / Lewi Longmire duo, and a field trip to the amazing Sou'Wester Lodge on the Washington Coast with Mike Midlo. Also, I've been invited to do a bunch of other new projects here and there, and I'm truly thankful for the variety of music that I get to be involved with. All the details are contained in the individual listings on the "shows" page. Hello again! The band(s) and I have had a lovely break, taking time to enjoy the holidays with friends and family, traveling around a bit, and generally taking it easy. We've written some new songs, and the Left Coast Roasters have moved further into integrating Dan Eccles as our regular 4th member. We've also hunkered down a little bit doing some final work to make ready our next release, the 7" single of "Live With Love" b/w "Remedy" that seems to be taking much longer than anticipated to get into your hands and ears. Sorry about that. We're all quite excited to get back to playing some shows after being away for a bit, and we'll have a couple of late-night full band shows in January, and then be returning to our regular Thursday happy hour slot at the Laurelthirst in February (or possibly January 31st). There will be some kind of work done in the future to delineate a difference between the Laurelthirst happy hour shows and the night shows we do. I'm trying to work out a way to have the night shows become something more focused, more nuanced... while the happy hour will continue to be the loose, raucous affair that it has grown to be. Maybe the night shows will start being a different band, or just draw from a different set of material. Who knows? Anyway, beyond the projects in which I am a driving force, in February I'll also be returning to the stage with the hodgepodge of other acts that allow me to plonk along: Portland Country Underground, Michael Hurley, Denver, Ducky Pig, Meridian, etc. Some of those have shows coming right up, for others it'll be a little while. I've missed the music, missed seeing all of you. Let's hang out, shall we? LAST SHOWS until EARLY 2013! THE BAND IS NOT BREAKING UP! I've been playing roughly 200+ shows per year for the last decade. I'm finally going to take a little break from playing shows, my first significant vacation in 10 years or so. What this means is that I'm not planning on playing any shows with any of my various bands for several months, starting in Thanksgiving weekend. The plan is not so much for me to STOP playing music as it is to just free up some time in my very busy schedule to hunker down and practice, write, and record new material. It's been a bit hard to keep coming up with enough new stuff to keep my performances fresh when I'm out playing in public 3-5 times per week. Of course, there'll be some much needed rest and relaxation in there, but I'm hoping to make my time off creative and productive as well. Hopefully, I'll be back in full swing with all my projects in early 2013. With luck, absence will make the heart grow fonder, no? We won't be gone long. I must sincerely thank everyone that's been coming to see me and the band for all this time. I wouldn't be worrying so much about keeping the shows fresh if there weren't so many of you out there coming to see us regularly. I feel I owe it to all of you as much as to myself to take this time and do the groundwork that will allow me to keep sharing with you the best music I can possibly come up with. I thank you for that motivation! Bill's going back to the midwest to visit his family the week before Thanksgiving, so our last full band electric Thursday happy hour at the Laurelthirst Pub will be held on November 8th, 6-8pm as usual. I WILL be playing happy hour at the 'Thirst on Thursday, Nov. 15th, but it will be with an acoustic ensemble: me, Ned Folkerth (drums), Jason Montgomery (upright bass) and David Lipkind (hamronica). I'm making a big point of making this clear because although the 15th will be the true 'last' happy hour for a while, and folks may want to come on down and PARTY HARDY on that date, the fact that we'll be playing acoustic means that the song selection and volume level will be considerably more mellow that show. I want to maximize the focus on that evening, and will be hoping for people to remain fairly quiet and attentive for that show. If you're looking to get rowdy, I would much prefer that you think of the 8th as the last show for that. This isn't the most convenient timing of this sort of thing, I know, but that's just the way it worked out. Please know that I hate to try to hold the audience to any kind of enforced behavior, but we won't have the power behind us to rock over a rowdy crowd on the 15th. For that show to have any chance of success, folks will need to keep fairly (but not totally) focused. I hope this doesn't prove to be a drag. Thanks! LAST FULL BAND SHOW of 2012: NOV. 21st! Our last show of 2012 with the band will be at the Laurelthirst Pub on Wednesday, November 21st, 9:30pm. This falls in with our tradition of playing on Thanksgiving Eve every year. We'll have the usual core trio of me, Bill Rudolph and Ned Folkerth, plus Dan Eccles on guitar, Edward Connell on keyboards and possibly Eddy Lakaden on percussion. We've invited our good friends The Resolectrics to play a set to open the show, and then we'll play two sets on into the night. I do hope you'll be able to join us for this special night of music, family and friends. Our 7" single release date has been pushed back. Due to the small number of vinyl pressing plants still in operation nowadays and the large number of major label bands pressing LPs slated for Christmas releases, we were told there was such a long waiting list to get vinyl manufactured that we've had to push back the release of our new single (Live With Love b/w Remedy) until after our winter hiatus is over. Sorry for the wait, but we think taking the extra time will be worth it. We're working with a couple of fine artists on the visuals for the release: Heather Heininge is doing some cover art and Amy Kuttab is working on an animated video to accompany the song Live With Love. We'll release all of it at the same time, in early 2013. Last month's residency at Al's Den was a huge pleasure, it was really nice to change things up and do something different (new songs, some piano music, acoustic full band show). Thanks so much to everyone that came out to those shows. While we're all excited for the press, let's turn our attention towards the upcoming shows. The band is playing a special birthday show (mine is March 2nd, Bill Rudolph's is March 4th) this Saturday, March 3rd at the Mississippi Studios. This place has a great sound system, and the show is quite inexpensive, so hopefully you'll come join us. On Tuesday, March 13th at the Bunk Bar, we'll be playing a special set focusing on a more heavy metal/stoner rock sound for the band. Bingo and I will be bringing out the heavy fuzz for this show; the rhythm section will concentrate on the big thump! We intend to be loud and psychedelic for this one, be prepared. OLD LIGHT opens the show. BINGO and I are playing a special acoustic house concert on March 31st, look below for specifics. You must email an RSVP in order to get in; admission will be capped at 50 people. And we're working up the final preparations for the band to tour ALASKA in the last two weeks of April. We've never done such a thing, but we're dedicated to bringing our brand of rock-and-roll to the northern frontier. Exciting! The new release Tales of the Left Coast Roasters was recorded in seven days (over the course of several months in late 2010 and early 2011) at Type Foundry studios with engineer Adam Selzer (M. Ward, The Decemberists, Jolie Holland, Builders & Butchers, Blind Pilot, Sallie Ford & the Sound Outside). Since the basic sound of the band's music is "a power trio in the classic vein", and the aim with this album was to capture that sound in a live, energetic, stripped-down way, the album will only be released on vinyl LP with an included digital download card. As an added bonus, this card is printed on seeded paper: it can be planted in your yard when you're done with it, bringing up a handful of wildflowers for your viewing pleasure. We're pretty much finished mixing our forthcoming LP! We're moving ahead with the mastering, artwork, and actual manufacture of the album now. The band and I are hoping for a late April release. Have a listen, let us know what you think! Have a good day! Well, I haven't updated the news section in forever. Lots has happened, lot more is due to. 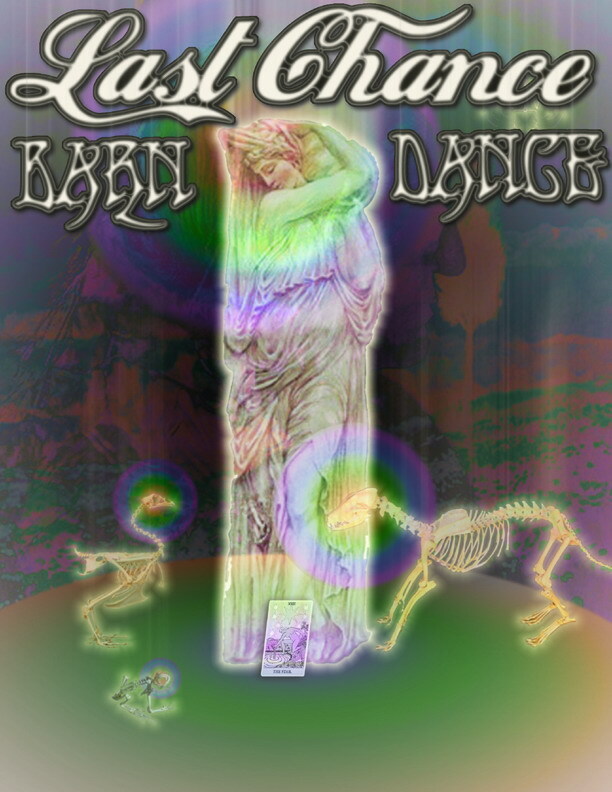 For one thing, there will be NO LAST CHANCE BARN DANCE this year, due to some troubles with the location, and me not having enough time or energy to retool the whole event. Keep your eyes peeled for one in 2011, though. The band and I have been getting some nice props these days. I'll be playing solo at HORNING's HIDEOUT for the STRING CHEESE INCIDENT's festival there on July 31st. 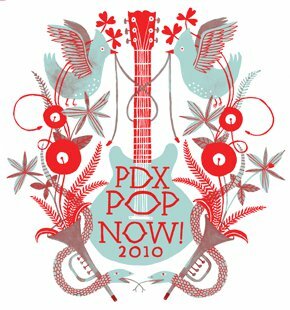 The band will be playing at the PDX POP NOW! Festival on August 1st. All in all, a very fun time we've been having! Well, I just couldn't be more excited, really. There's going to be some very very cool goings on this summer! First of all, I've been asked by my friends in the band THE OLD YELLERS to accompany them on a tour of Ireland later this month, and they offered to perform my songs as well, to help sweeten the deal. I haven't been to Europe since I was young, and have never played music over there, so I'm looking forward to be spending a couple of weeks with pals playing 'tunes for the kind folks there. And then, also very exciting... the LEWI band has been invited to play the OREGON COUNTRY FAIR, on the main stage, no less, on the first day of the fair, Friday, July 10th. I've been attending this event for years, always love it, and couldn't be happier about being honored with such a cool booking. I do believe Bingo will be playing this one with us as a rare Oregon appearance this summer. I'm going to be taking it easy in April, not playing very much aside from the Thursday happy hours, spending some time writing, also taking a little time off, and getting out of town some. It's been a looooong winter! The two main shows I want to call you attention to are: tonight's free show at the Laurelthirst (with Matt Cadenelli, Joe Chuisano and myself playing an evening of loose rock and roll), and the Mississippi Studios show at the beginning of May. Please check out the shows page. Well, folks, summer is winding down, but there's still plenty of rockandroll in our future! A few things we're excited about: the LEWI band (with Paul Brainard on pedal steel guitar) will be playing a show Wednesday, 9/10 at the Doug Fir with HOOTS & HELLMOUTH, a very cool rootsy Americana/roadhouse gospel-ish band for the East. The Doug Fir always sounds great, and this is a great bill. FERNANDO will be playing 7 shows at various McMenamin's venues around the region during the second half of the month. All shows are 7-10pm, free and all ages. Forget the babysitter, bring your kids to rock! Then, the LEWI band will find itself back at the Mission Theater, opening up for the legendary HOLY MODAL ROUNDERS! And we'll start the next month fresh with our first of what will hopefully be many "first Friday" shows at Biddy McGraw's. Also FREE! Thanks so much also for all that came out to the Last Chance Barn Dance, it was an immense success, and a great time was had by all. We've been having a BLAST playing with our good buddy CALEB MILES in the lead guitar position once again. But, all things must pass, and he's got to get back home to Canada to feed the cat. We've got two last shows with him: happy hour at the Laurelthirst tonight, June 26th, and at the ROCK CREEK TAVERN out Hillsboro/North Plains, FRIDAY, JUNE 27th. It's FREE, and we're playing from 9-midnight. ALL AGES are allowed until 10pm. It's a bit of a drive, but well worth it to get a little outta town. There's a benefit for our good buddy BINGO in the works for July 3rd. More info below on that, too. Do you not have the newest disc yet? Get it at a show, or HERE. Aside from that, lots of FERNANDO shows coming up, and the ever-exciting Oregon Country Fair. There are still signed and numbered copies of the fine, hand-silkscreened poster done in a limited run by Gary Houston for the CD release. They are $10 at the shows, or you can email me to get one sent to you. We still have T-Shirts! They are a lovely sky blue with the Lewi Band logo printed on the front in black. Unfortunately only "men's" sizes right now: M, L, and XL. They are $10 at the shows, or email me to get one shipped to you. A very nice, in-depth article ran today in the Willamette Week tracing the tangled web I've been weaving through Portland music! Thanks Jay, Amy and WWeek! The CD release party for the Lewi Longmire Band's new disc, "Fire Underneath the Still", is set to be Saturday, April 26th at the Mission Theater in Portland. The CALEB KLAUDER BAND opens up, and we'll be playing the whole of the new album with a bunch of guests. See details below. Also, we're still posting tracks from the new disc now and again on our myspace profile. We keep rotating them through, so check back for new and different songs. I'll be doing three Wednesday happy hours at the Laurelthirst in early April, playing with the legendary Billy Kennedy and Tim Acott duo as my backup. This will give me a chance to play some of the songs that don't really work for the big rock shows on Thursdays. Come for something different! In other news, Fernando is back from Argentina safe and sound, and we'll be playing some shows very soon, starting this weekend in Eugene. We're mostly laying low around these here parts, but there are a couple of things to tell you about. 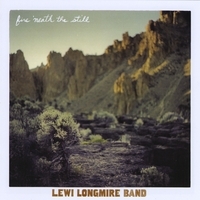 First of all, the CD release party for the Lewi Longmire Band's new disc, tentatively called "Fire Underneath the Still", is set to be Saturday, April 26th at the Mission Theater in Portland. Details are yet to be worked out, but I wanted to give you an early heads up so you can get prepared! Last on my list, the Laurelthirst Pub is hosting 3 days of benefit shows next week to fund the purchase of a new, better PA system. This is an idea spearheaded by the musician that play there regularly, with an eye towards making the live music experience at the club even more enjoyable! As these benefits will pre-empt our Thursday happy hour on 2/21, we'll be playing a set on SATURDAY, FEB. 23rd, as part of a bill with the BILLY KENNEDY BAND and the PIANO THROWERS. We still have T-Shirts! They are a lovely sky blue with the Lewi Band logo (below) printed on the front in black. Unfortunately only men's sizes right now: M, L, and XL. They are $10 at the shows, or email me to get one shipped to you. This is just a quick note to let you know about the progress of the music here at LLBand headquarters. We're laying a little low for the next month or so, with the exception being the couple of shows listed here. 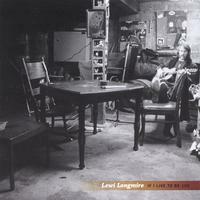 We'll still be doing happy hours, but the only Lewi Longmire Band night show is the FRIDAY, JAN. 11th at the WHITE EAGLE. Other shows that I'm playing as a backing musician are listed on the shows page.. I'm happy to announce that our new CD is very nearly done, and for a preview, we'll be posting tracks from it now and again on our myspace profile. Check back every once and awhile, as we'll be putting different songs up every week or so. We'll let you know when it becomes available for purchase... likely a couple months down the road. We've also posted some footage of the band playing on the Recycled Music NW show this last summer up on youtube. We have new T-Shirts! They are a lovely sky blue with the Lewi Band logo (bloew) printed on the front in black. Unfortunately only men's sizes right now: M, L, and XL. They are $10 at the shows, or email me to get one shipped to you. If you feel like buying 'em, now's a great time to do so, as all the money raised is being pumped right into our current studio project, and that stuff ain't cheap! That's it! I hope your holidays were nice, and that you're getting the relaxation that you you surely deserve now. The BINGO DREAM BAND will be touring the McMenamin's Hotel/Pub properties through two weeks in June. This adventure will not only feature the usual characters of me, Bing, and Miss Jessie, but also the low end rumblings of Mr. Tony Mason, who resides with Bingo in Joshua Tree, CA and plays in the southern version of the band down there. Welcome north, Tony! The last thing I want to make sure you know is that because of the dates taken for the McMenamin Tour, the LEWI band has moved our usual Thursday happy hours at the Laurelthirst to Satrudays for those weeks. So no happy hour on 6/7 or 6/14, but there will be shows on 6/9 and 6/16. I hope you can join us for those. 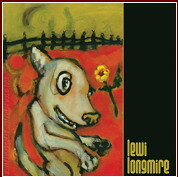 Welcome to the new Lewi Longmire dot com! 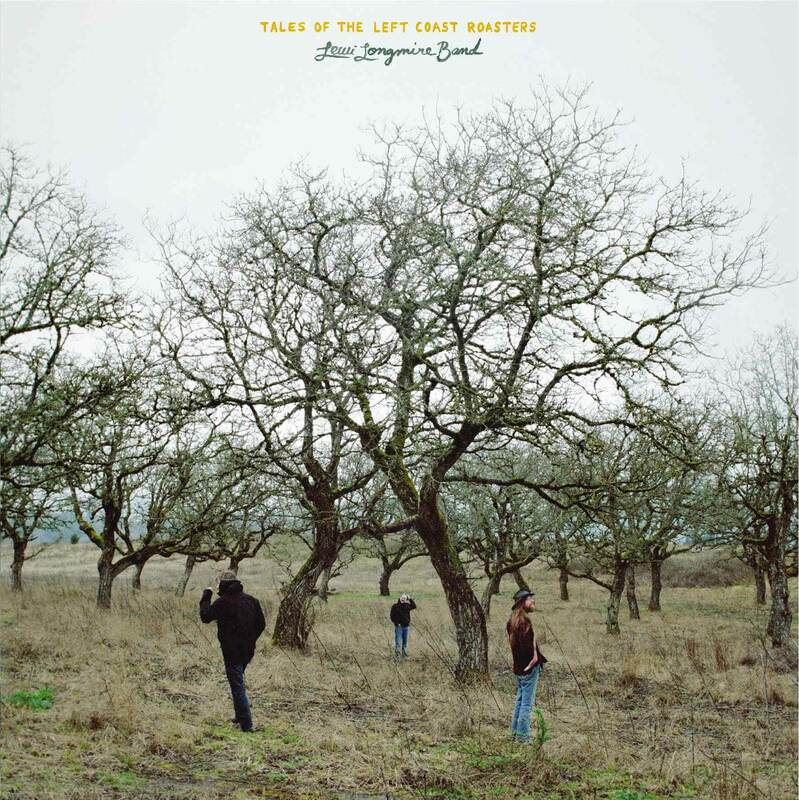 You're just in time for the release of the album "Crazy Coyote" recorded live during the LL Band's McMenamin's Great NW Music Tour last June. It features the usual trio of myself, Bill Rudolph (bass) and Ned Folkerth (drums) plus the prowess of our good buddy Bingo (a.k.a. Kevin Ritchey) on guitar.The music on the disc is a nice balance of updated versions of songs from my first CD, If I Live to be 100, songs that we play written by others, and some new 'tunes I wrote that hadn't been recorded yet. A little something for everyone. 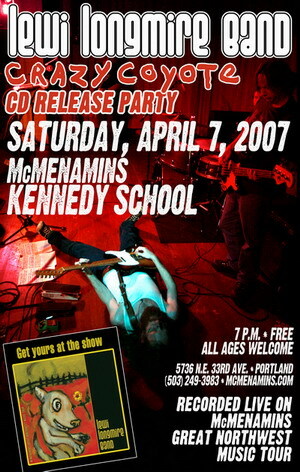 We're also happy to announce the CD Release show will be this Saturday April 7th at the Kennedy School here in NE Portland. The band starts playing at 7pm, the show is free and is open to all ages. We'll have the new disc available for sale, as well as our first CD and what we have left of our T-shirts. New shirts and stickers will follow sometime soon, we expect. Hope to see you at the show! Also, check out this lightly inaccurate story from the Portland Tribune about the show complete with an ancient photo of the band.